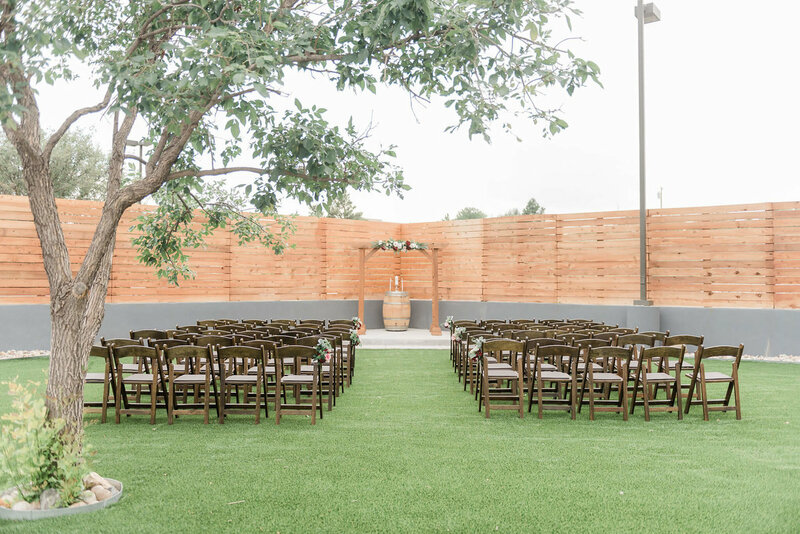  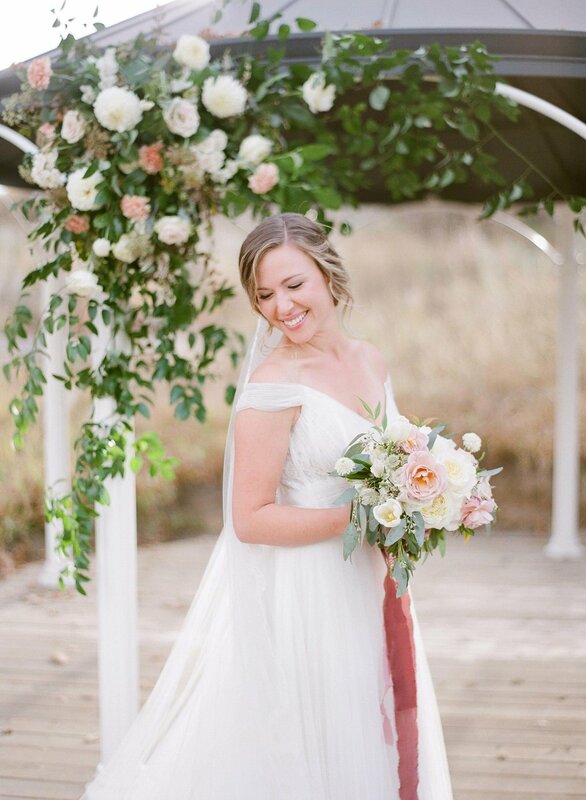 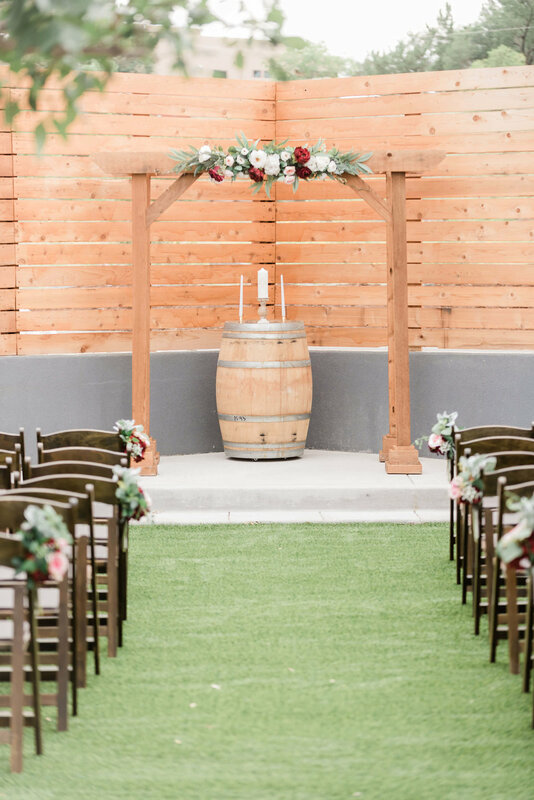 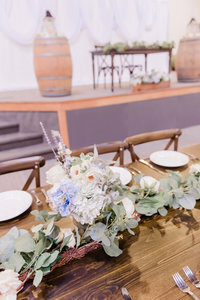 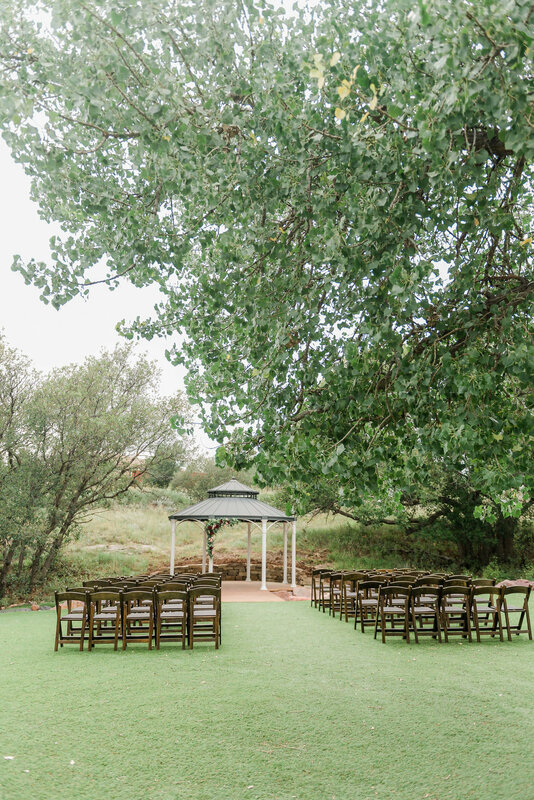 Our basic package gives you the space and access to our beautiful farmhouse tables, cross-back chairs, oak ceremony chairs, cocktail tables, and wine barrels for a beautiful, elegant foundation for your wedding day. 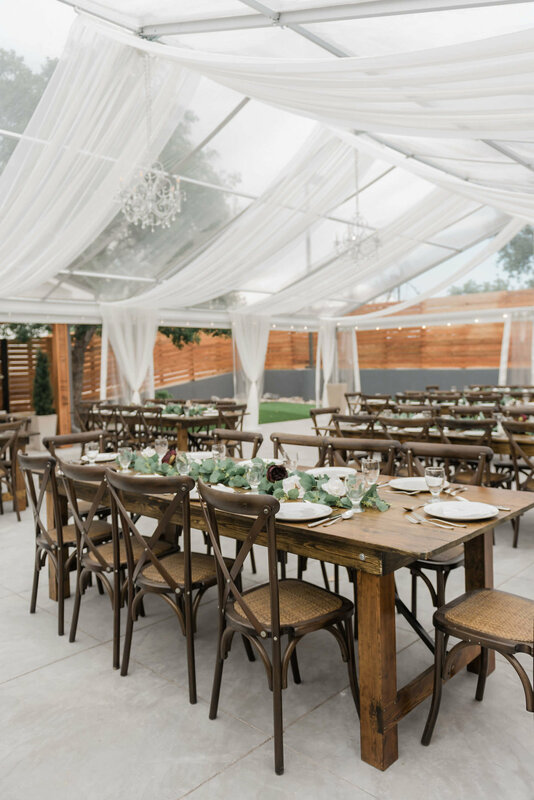 Using one of our required caterers will ensure your food needs are taken care of. 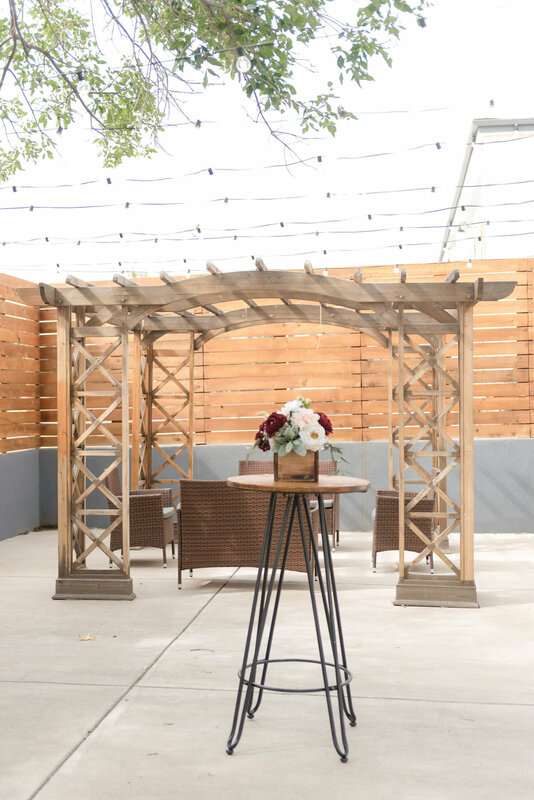 You can use Creekside as a blank canvas to ensurer every detail of your wedding day is unique to you. 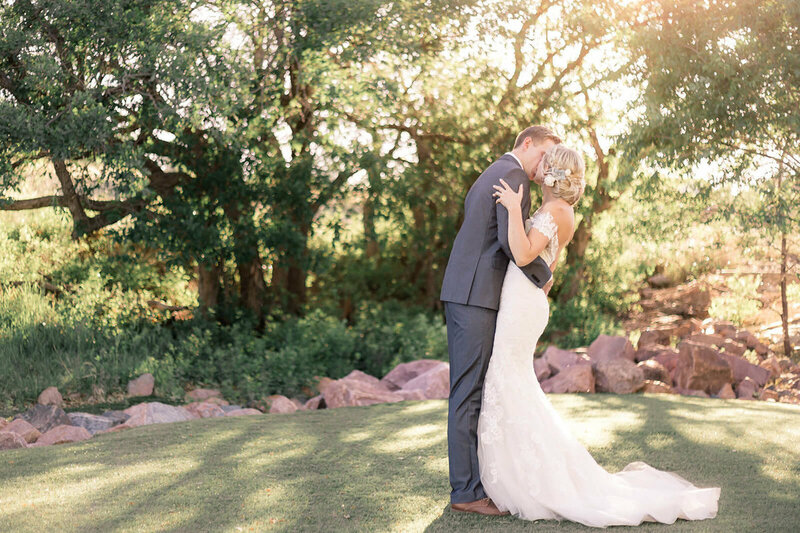 Our all-inclusive package is the most popular package for good reason. 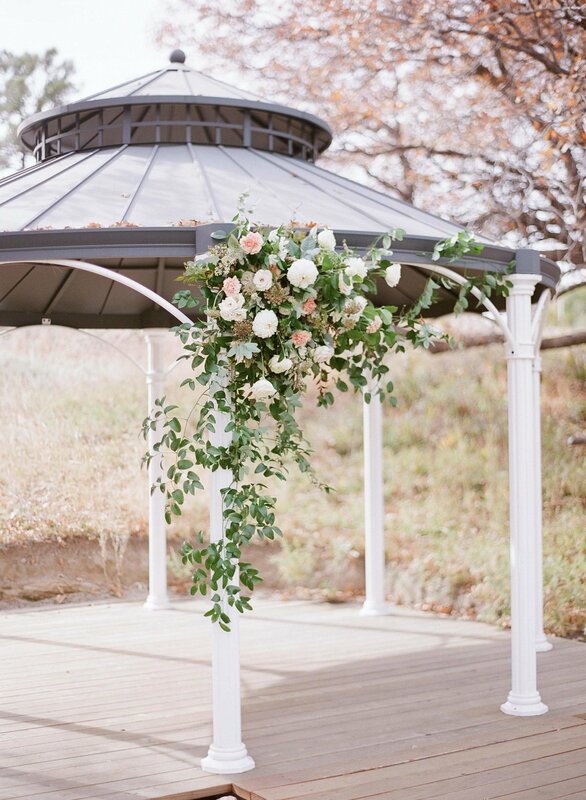 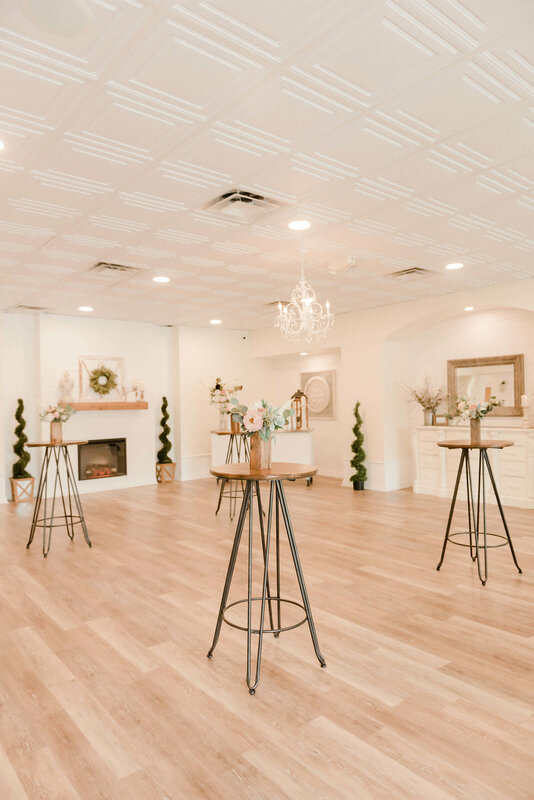 It is your one-stop shop for creating the most seamless and beautiful wedding day. 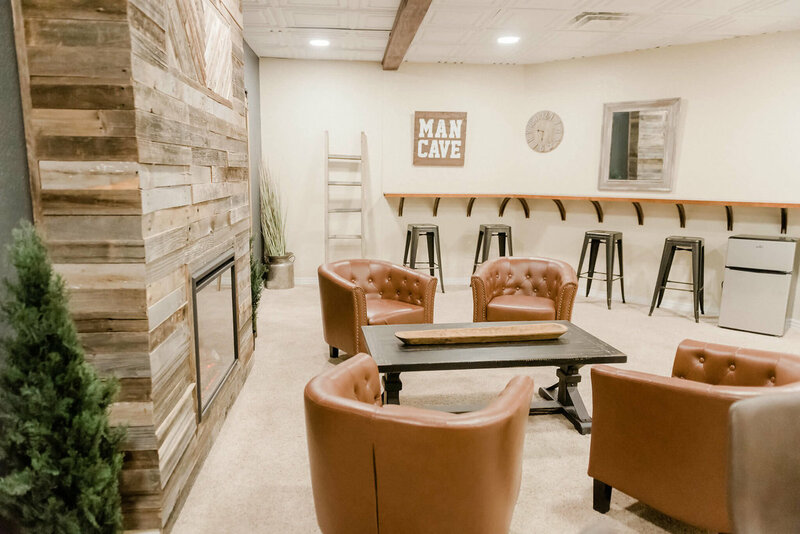 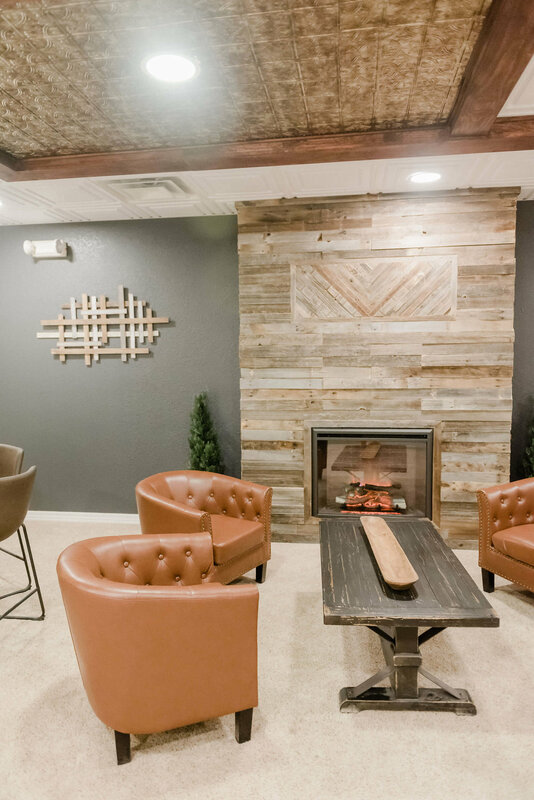 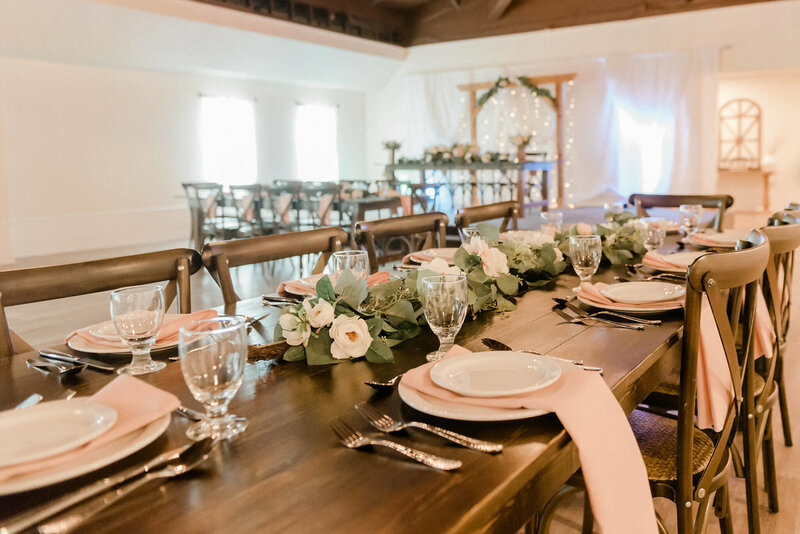 Farmhouse tables and cross-back chairs, a gourmet dinner, bar package and a customized wedding cake are just some of the amazing features you receive with this package. 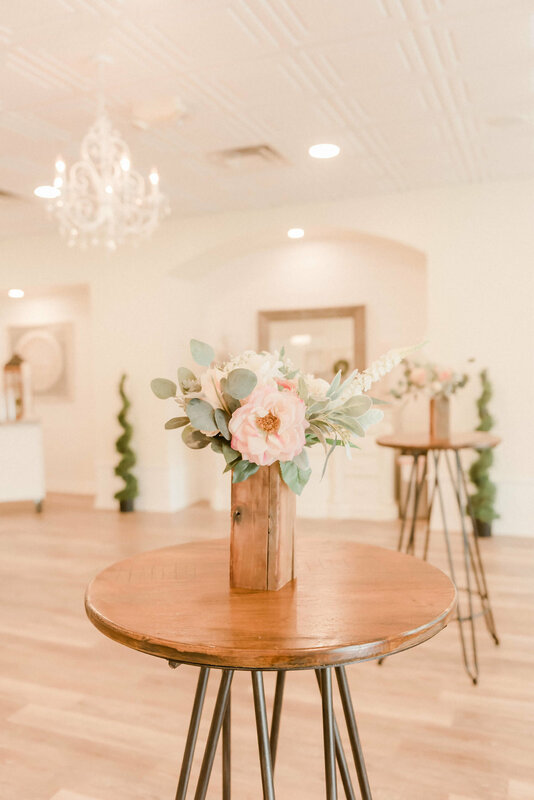 Our coordinators walk you through the entire process to ensure your day is uniquely you. 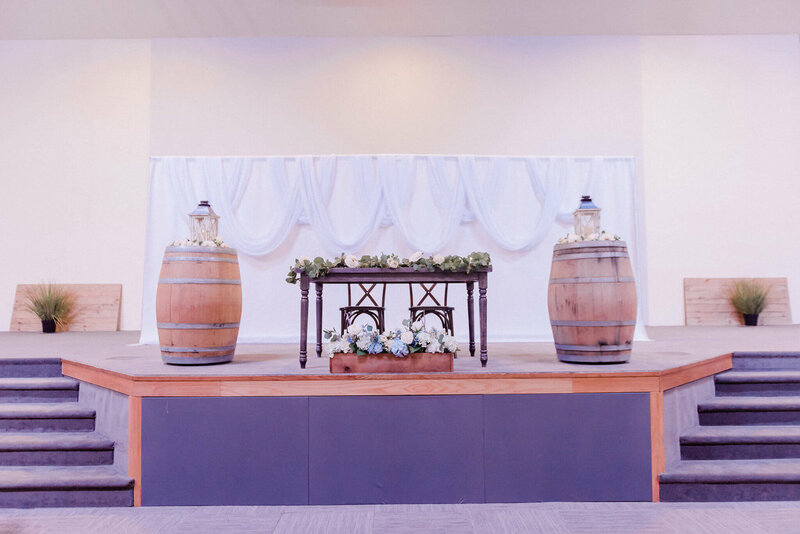 Our intimate wedding package is the perfect solution for weddings with a guest count of sixty or less. 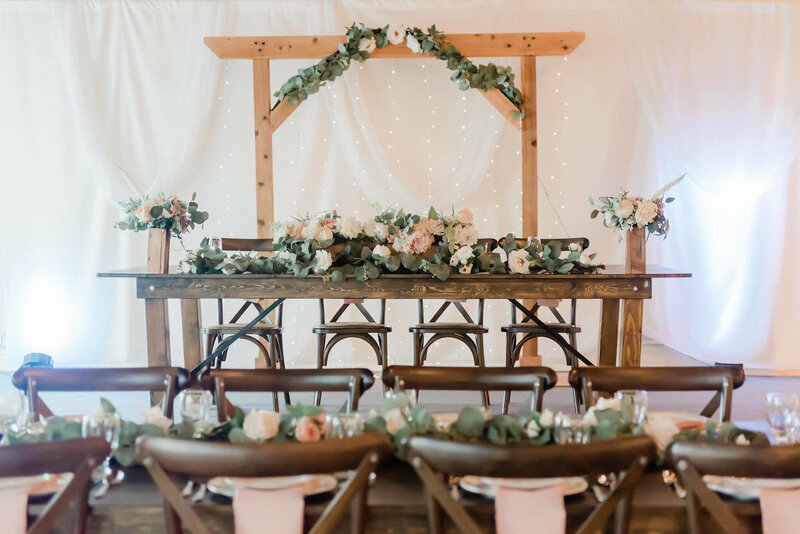 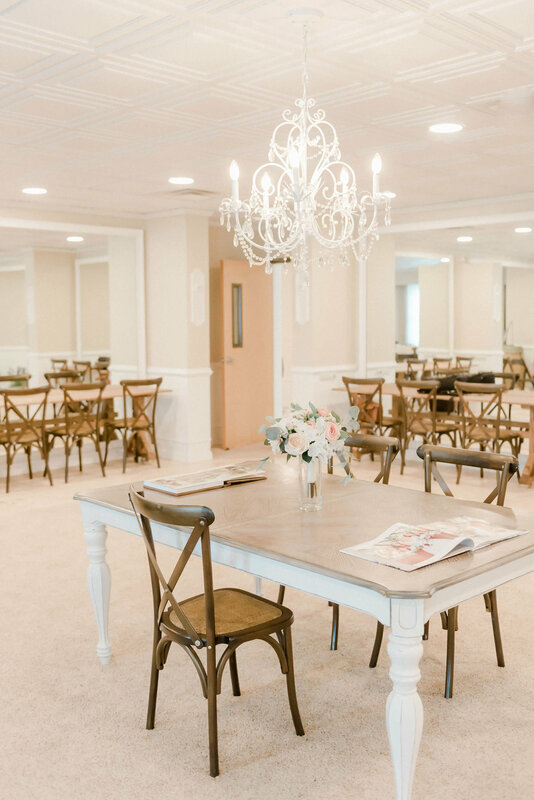 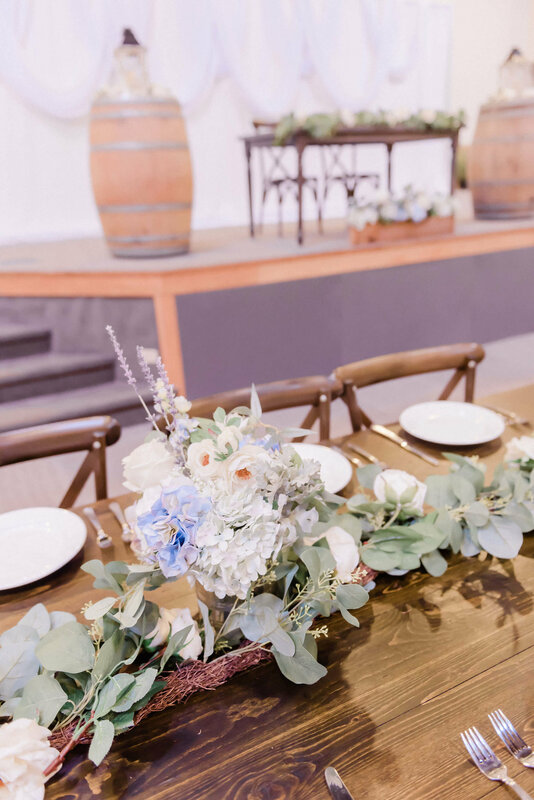 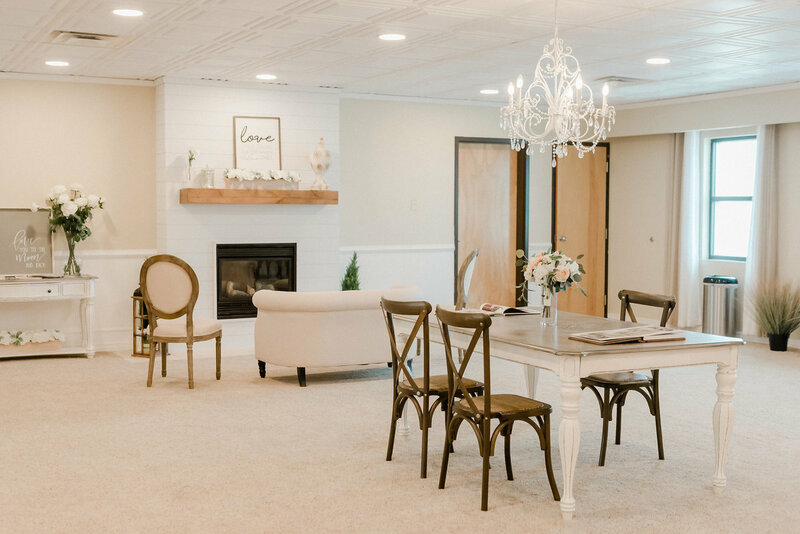 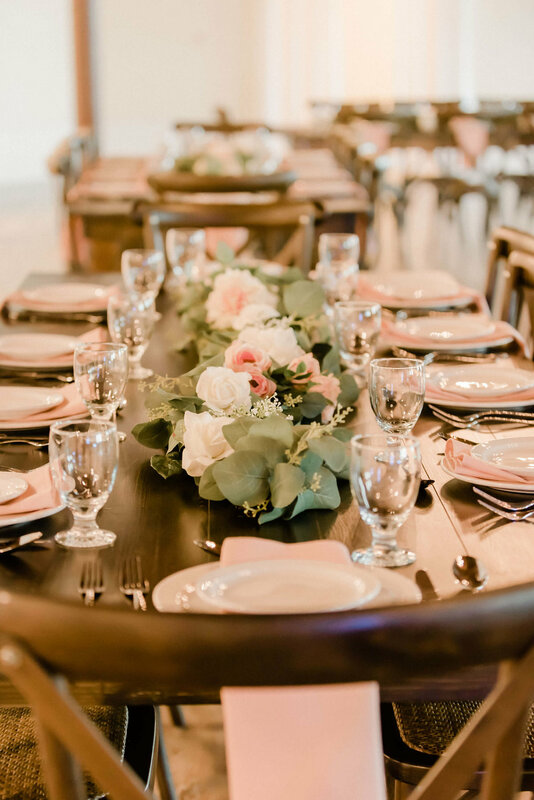 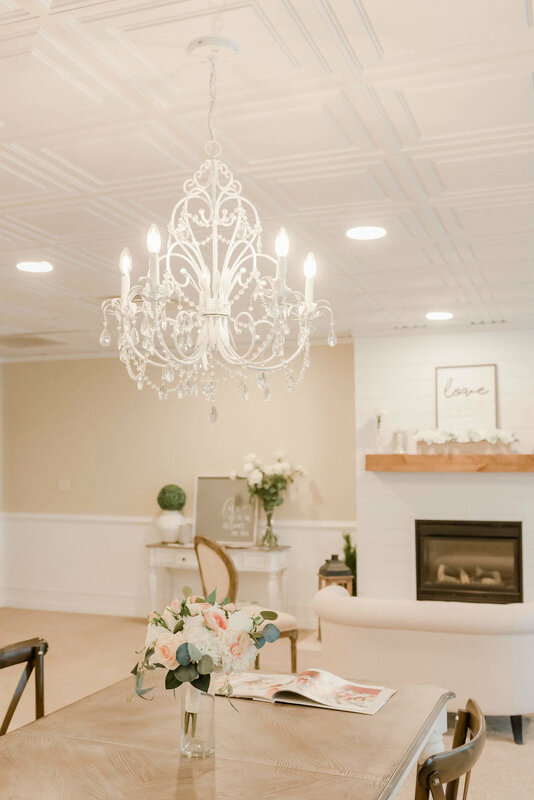 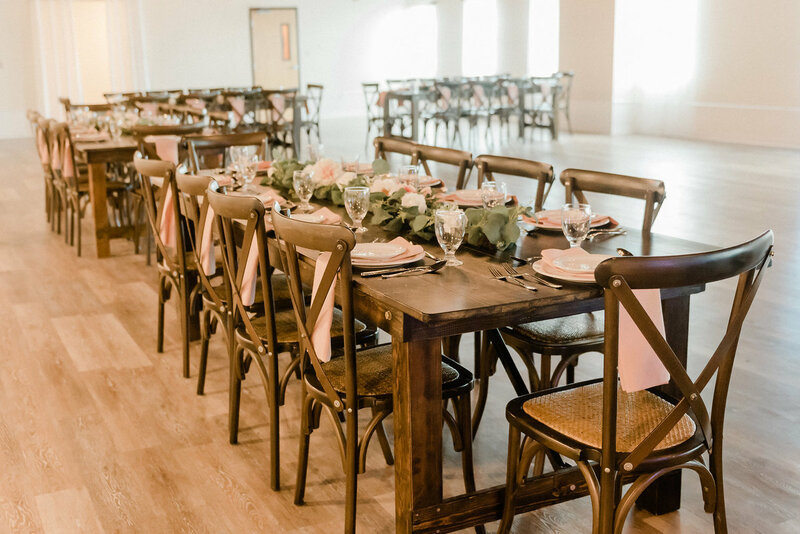 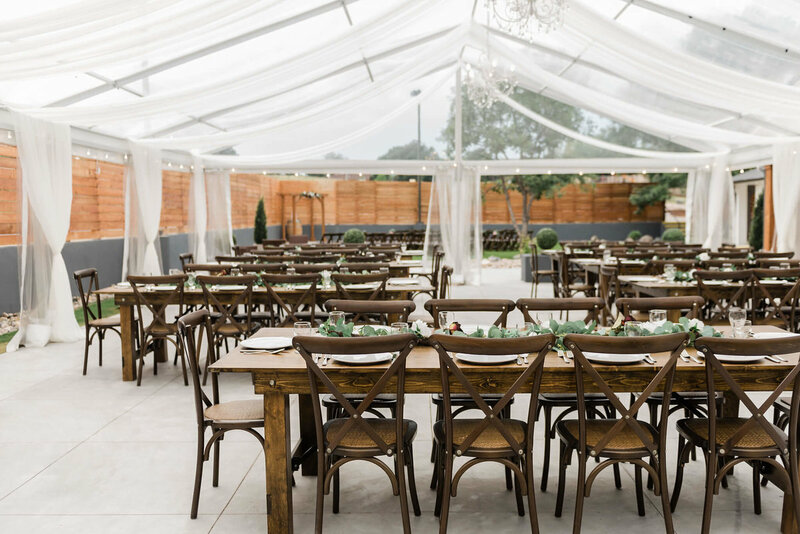 Creekside provides any farmhouse tables and chairs needed, along with wine barrels, a two-tiered wedding cake, china, glassware, a champagne toast and much more. 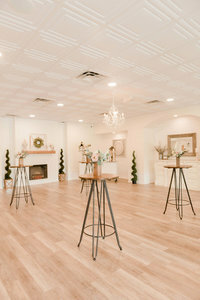 If you are looking for an intimate, affordable wedding that is uniquely you, this is your package. 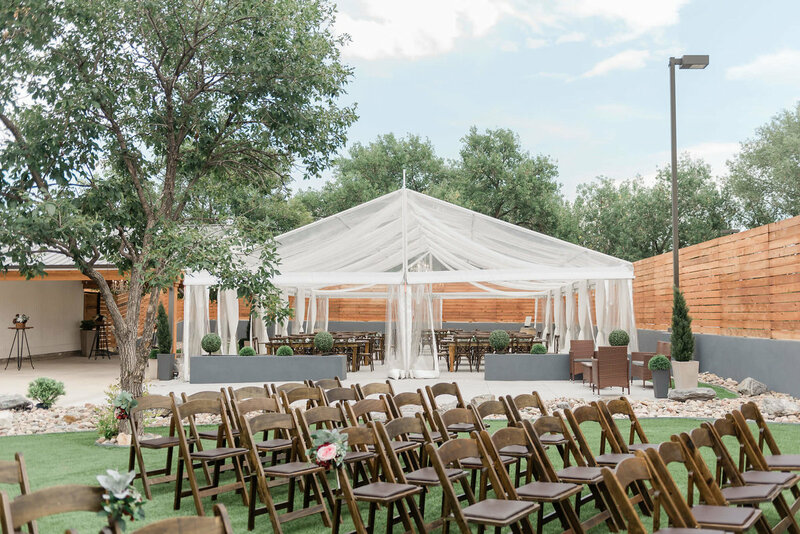 All payments are non-refundable and non-transferable. 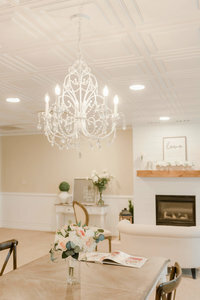 We do allow special circumstances for military couples. 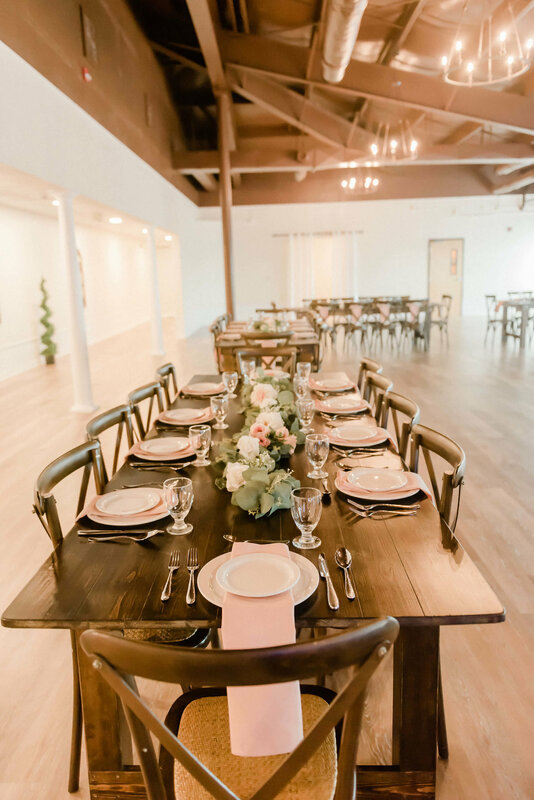 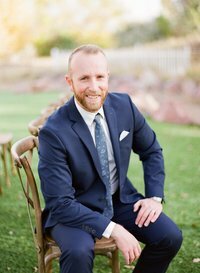 We do not require a wedding planner or coordinator, although we highly recommend having one if you book the wedding rental package. 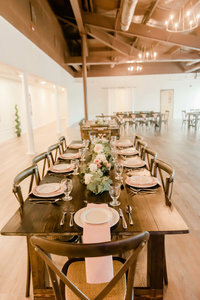 We do not provide any planning services in the Wedding Rental package.